Economical ceramic mug. Comfortable C-handle. Individually polybagged. Egg crate packaging. 12oz. 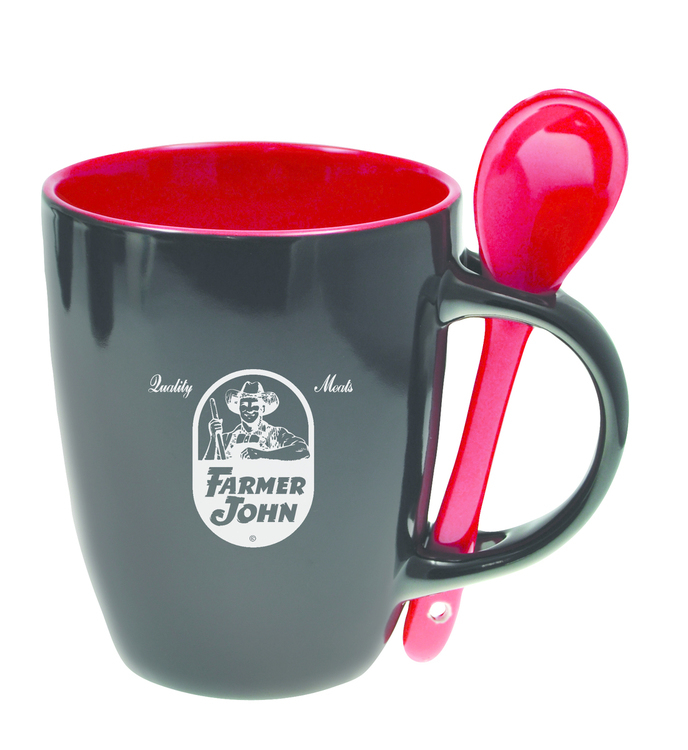 ceramic mug with matching ceramic spoon. Individually polybagged. Spoons packaged separately. Egg crate packaging. 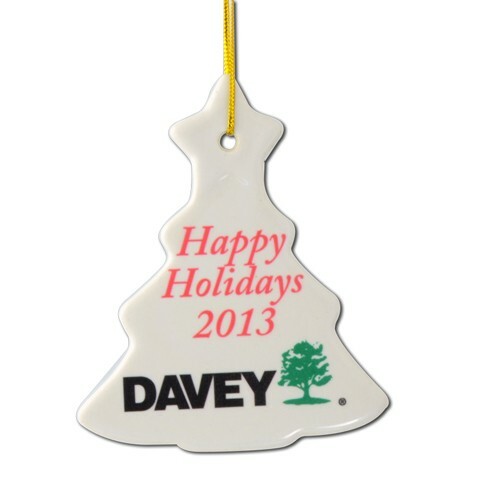 Tree shape white ceramic ornament. 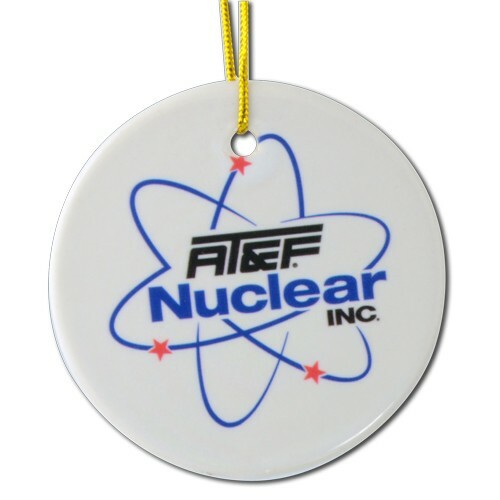 Includes full color full bleed imprint on one side and cord attachment. Individually polybagged. Back side imprint available. 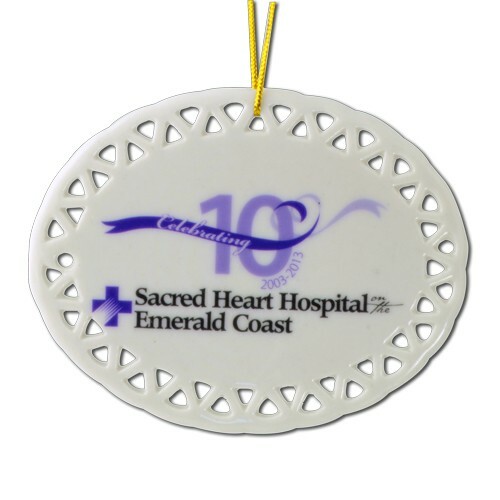 2 1/2" round white ceramic ornament. 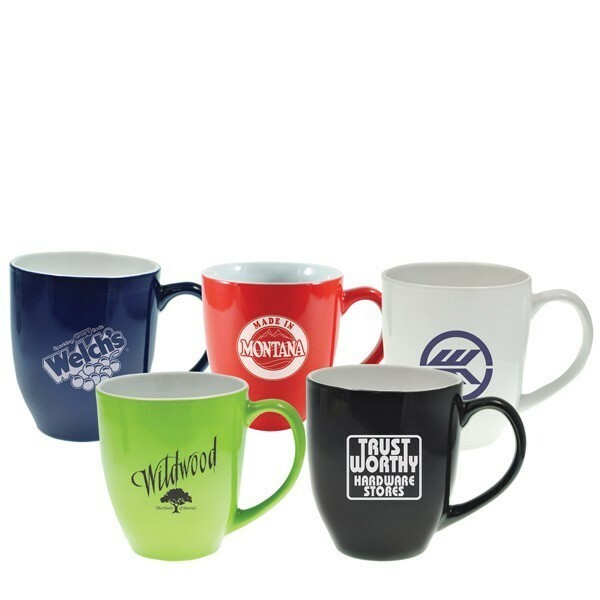 Includes full color full bleed imprint on one side and cord attachment. Individually polybagged. Back side imprint available. 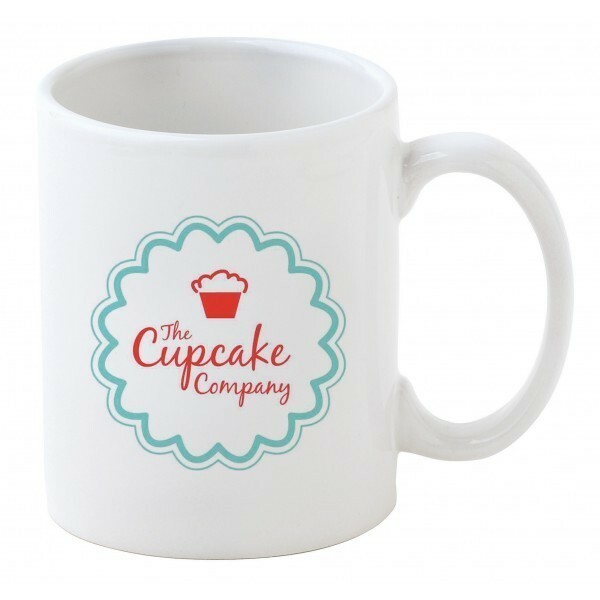 Ceramic mug with large handle that easily accommodates 4 fingers. Individually polybagged. Egg crate packaging. 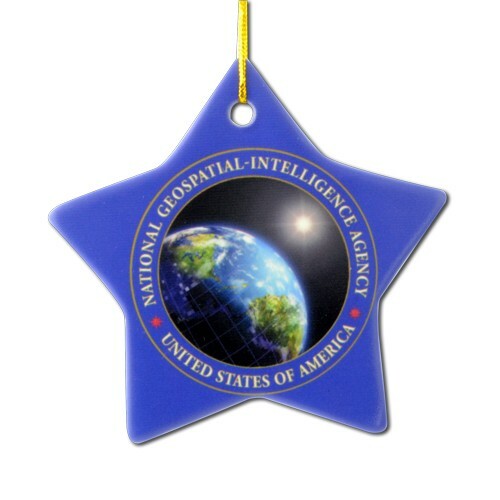 Star shaped white ceramic ornament. 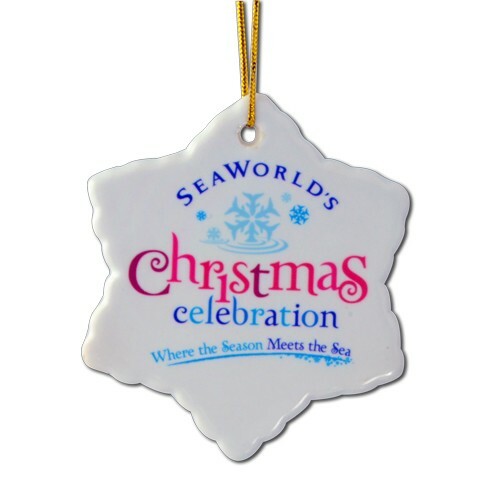 Includes full color full bleed imprint on one side and cord attachment. Individually polybagged. Back side imprint available. Oval shape with decorative design along the perimeter. Includes full color full bleed imprint on one side and cord attachment. Individually polybagged. Back side imprint available.